Thank you for a great year. Good Luck with your other final exams! 1) I will conduct a short review of essay writing skills from 8 am to ​​9:00 am on Thursday 5/10. material you have spent the last month and a half working on! assessment grade with a 100.
ideas about about the questions today, look at this AP issued sample exam. had to complete them. Please do not copy as you will have to answer questions when they are submitted. They will also help prepare you for the in-class Summative Exam. Prepare! 2) I will post my thoughts on possible APUSH Exam questions for this year as we near the date. Friendship Baptist Missionary Church, Beatties Ford Rd. Charlotte. 1) The last AMSCO study guide for chapter 30 is due today. 2) To finish the year, I am assigning 13 small review sheets covering key content for the exam. All thirteen are due by Thursday, May 10th. This is a hard deadline. No excuses. REALLY!!! Tuesday 5/15 after the APUSH exam. can be found here. The test will be given at: Friendship Baptist Missionary Church, Beatties Ford Rd. Exam structure information can be found here. Be there by 7:30 am when check-in for the exam ends. While these sessions are limited to only 1 hour, they are useful tuneups. 1) Continue your work reading AMSCO Ch. 30 (the 1980's) and the Ch. 30 study guide. 2) The classroom notes (terms you should know) for the 1970's and 1980's are here. 3) Looking for help reviewing? Sample AP Test Questions can be found here. 1) Remember the Chapter 29 Study Guide about the 1970's from a week and 1/2 ago? It's due today! Start working on the Chapter 30 Study Guide about the Conservative 1980's and the Modern Era. 2) Watch the following video about the politics from 1960-1980 and answer the questions. 2) Look up and define the following terms on Civil Rights from last class. 1) Complete definitions for ALL the terms from the class notes for the 1960's Presidents (JFK & LBJ). LOOK IT UP!!! All will be on the assessment. about the 1970's. It will be due on Tuesday 4/24. about more than MLK marching to DC and solving Civil Rights with the "I have a Dream" speech. the DUKE Bldg. room 208. The session is a comprehensive review & will run from 8:00 am to 12:30 pm. Bldg by the practice fields in room 208.
the abolitionism movement while studying for the 1647 APUSH exam. Due for Thursday 4/12 The 1950's and JFK's Sixties "1000 Days of Camelot"
any reason, please turn in your work via e-mail or through a friend by this date. 2) Watch the Century video on JFK's New Frontier and answer these questions. I cried when JFK died. You'll cry if you don't watch this video closely enough before the quiz about it today. testing in the South Pacific. Note, the tragic results are less than amusing. the APUSH exam, you are still responsible for your work, regardless of absences. 3) Although I originally called for Ch. 27 & 28 over the break, I'll wait to take Ch. 28 until Thurs. 4/12. 1) Turn in the Chapter 26 AMSCO Guide. 4) Continue the Chapter 27 Study Guide on the 1950's and the Chapter 28 Study Guide on the 1960's. break. You'd be inviting disaster. sure you turned in everything for which you wanted points. Don't worry about the other stuff. 1) Continue your Chapter 26 Cold War Guide. It will be due on Wednesday. another period. Its the last test of the quarter and 0's cannot be replaced. B and C but you should look them over and consider how you'd answer them. to start early. Just ask the Donner Party, table of 87 for dinner. 2) Continue working on the Chapter 26 Study Guide . Its due before next Wednesday's Test! 1) If you have time and are intrigued by WWII deaths, watch this award winning short documentary. Very few short clips are as thought provoking. 2) Continue the Chapter 25 Amsco Guide. It will be due on Thursday, 3/21! 3) Turn in your 4 New Deal Posters. 1) The Class Notes for WWII can be found here. 2) Here are the powerpoints for both The Coming of WW II and World War II. benefits of a major New Deal Program. Funny or creative poster will be awarded a substantial bonus. Your posters are due on Tuesday 3/20. Remember, don't let your worries kill you. Let the New Deal help. 1) Begin working on the AMSCO Guide Chapter 25 guide and reading. 2) Go out for a walk barefoot. Pet a kitten. Play with your little brother/sister. Unplug from your phone. will result in a 0 and could well lead to an Alien invasion. Don't be the person who ends our civilization. events, we will take the test then without excuse. It is not negotiable. I will be here by 7 am for a review. 3) Complete these two handouts about the Great Depression. #1 #2 It could lead to War. 4) For those of you interested in the Huey Long "Kingfisher" BBQ speech, its short but entertaining. under the "Share Our Wealth/Every man a King" plan. extra credit to help ensure an GOOD GRADE. A flyer is here. the actual Depression that lasted 10 years, much like high school in Gastonia. 2) Finish the AMSCO Chapter 24 study guide and reading. It's time. 4) Study for the BIG 1920's and 1930's test on Monday, 3/12. 1) Continue working on the 1930's AMSCO guide. They will be due next class. the 1920's and 1930's notes! 2) Finish watching the 1920's Documentary, The Century, Boom to Bust and finish these questions. 1) Turn in your chapter 23 AMSCO guide. 1) Turn in your WWI take home test. Its due today... please do your own work. 2) Continue work on your chapter 23 AMSCO Guide. It's due next class on Wednesday! 2) Begin Ch. 23 AMSCO guide to ensure you understand what you have read. It is due on Wednesday 2/28. 2) Turn in your Ch. 31 WWI study guide from the textbook. Rejoice as WWI has come to an end. 2) Watch the following video on WWI and complete the video guide. Its about 25 mins. Progressive Era so study accordingly. Good Luck. 2) The second Study Guide from the added reading is due today. Era in an easy to understand reading. Then start the following Study Guide to the best of your ability. This Study Guide will be due on Monday 2/12 for the Progressive Era Test. Amendment". Try something like "The 16th Amendment's new income tax angered the rich old man"
3) We will be watching the following documentary about the Prog. Era and answering these questions. I hope to do much of this in class but its a half-day.... so you may have to cover the remainder at home. will likely be on the exam! 5) For those going on the field trip next week, complete the following forms and return to Mr. Vitale ASAP. but you must understand those to see why Americans called for a Progressive Era! an awareness that the United States must address the problems that come with rapid urbanization. Rampant diseases, poverty, crime, infrastructure, corruption, all come under fire by the Progressives. Begin work on the Study Guide. (Finish the Study Guide by Wednesday 2/7). Although the test for the Progressives will be on Tuesday (2/13) expect quizzes beforehand each day. 1) Test on Imperialism today. Know your terms and concepts! finish sections 1-3 (review) up to the Green area) on the Chapter 21 study guide. 1) The test on imperialism is next class. Please look over the class notes carefully! Youtube comes with a pause feature. Back in my day, we had to reload the movie reels on the projector. parents) cry when they get your report card. Imperialism!!! You may use the textbook or the AMSCO Guide to find the answers. 2) AFTER watching this video on imperialism, answer the questions. I know the movie is a little... older. from today's quiz is directly from the movie. 1) Finish this take home test. Its short and it puts the Gilded Age to rest! study guide. Even if school was out, the work is due. If you find it unfair, consider it training for college. you should get a 100% on the test. this period. This really is a SUPERB video at explaining the difficult relationship between capital & labor. 2) Complete the handout regarding Gilded Age inventors. development of politics in the American West between 1870 and 1900.
questions. Only the first 45 minutes are needed but its seriously an easy video to enjoy. Academic Honor Societies on Monday 1/8 in the Auditorium. on time as it represents an important grade! 2) Complete the AMSCO reading for chapter 16 on the Gilded Age. Complete the study guide. for next year's college application so put some thought into it. It's only 1 page, so don't fret. 1) Turn in the Packet on the American West, section 3. It will be turned in for credit. 2) Study the Western materials for a short test today on the American West materials in sections 1 and 3. 3) Happy Holidays... a Winter packet will be posted shortly. 4) Here is a link to the JFK Essay Contest. 1) Study for the Big Test today. 2) Begin reading the next chapter on the American West and start the Review packet on the West. Section 1 up to the New South is due. 1) The war begins today. Have your questions, cards and armband on you for the start of the game! to fall. If you lack the above items, see me before classes start for replacement before its too late. facts, not obscure details nobody would know. These will not be accepted if late. a 5th "sword" card. The info is in the rules. Here are your squad assignments. Awards will be given to the highest performing units. 4) Finish your posters including 4 Political Posters and 2 Reform Posters using the instructions/rubric. awarded for original artwork, humor or creativity. Deductions will be taken for poor work product. 5) We will wrap up the Civil War powerpoint and begin the Reconstruction ppt today. Know the material! 1) Click on the following links to review two helpful powerpoints on the Civil War and Reconstruction. question must be one of the terms from the vocabulary list. for a last-minute, lazy work product. If you like projects, this is for you. If you don't, you can still fake it. ​ 1) Continue working on the questions on the Chapter 15 study guide which is due on Tuesday, 12/5. of War Game Rules updated for this year's game. Your 20 questions will be due on Tuesday. Each will replace a quiz grade with a 100%. it does show how badly we've strayed from Washington's Farewell Address. remainder is due on Tuesday 12/5. Border states to this list of slave and free states. THEN LABEL this map to show the free and slave states. tended to be poor and were often trapped in cities. Interestingly, the Know-Nothings were waiting for both. 1) Finish reading Chapter 14 in your AMSCO text and complete all sections on the guide for Chap. 14.
or sister, no matter how much fun it is. It's all yours for the taking. enjoy this 2 minute video. By the way, the new Star Wars comes out this December. sure you know the Antebellum events on the list for a short test today. 2) Enjoy this Key and Peele 2 min video on Harriet Tubman. 1) Read Chapter 13 in your AMSCO text. Then complete the attached guide,​, sections 1-3.
learned the material so please, please, please, please, please don't cut corners.) There are no retakes. 2) We will review the first Presidents and their accomplishments today using this chart. video summary of each of the Presidents can be found here. the string of 18 Antebellum events​ in these notes we will use in class. Due for Thursday 11/9 The Age of JACKSON!!! 1) Complete these questions about the time period. Answer completely. 1) Watch the first 28 minutes of this video about Andrew Jackson. Then answer these questions. 2) Complete the following Worksheet about Sectionalism and Nationalism. be like if he played women's soccer. 4) We may have a guest speaker, tomorrow at the gym at 1:30 -2:30 pm! Her controversial video is here. just so you can have a better teacher. and check out its features, starting with the 9 minute video. a musical called "Bloody Bloody Andrew Jackson". Corrupt Bargain, 10 little Indians and Populism. adding details for each movement. You may read this resource, your textbook, or other sources. 2) Watch this video on the Reform Movements and answer these questions. questions we started in class. all night. ... Or let them play this and film it. 1) Continue reading Chapter 8 in the AMSCO Guide (Nationalism and Economic Development). Answer the questions in section 5 of the worksheet. 2)Watch the Crash Course video about USA's Expansion and complete these questions. filled in the answers, come prepared to talk about your experience using the AMSCO guide. If you want to get ahead, do sections 3 & 4 (due Wednesday) and section 5 (due Friday). the Blue Book or the text chapter. Bad idea as the test on the Critical Period thru 1819 is Today, 10/17. 2) Watch Crash Course #11 War of 1812 and complete the following questions. order to gain a full letter grade. 4) For my Hamilton fans, enjoy this short but funny Aaron Burr Video. For Fun. 1) Its Friday the 13th. Avoid ladders, black cats, and cheering for the Yankees. BEST method. It's also the only method. Everything else ends in a "B". the 2nd-5th Presidents posted shortly. I wish I could see your expression after reading that. drawings which shows you know the content! There is a lot of overlap with your Early Class Notes. come quickly. Most if not all can be in the Blue Guide Book reading. nat'l government was a battle over visions for the United States. 2) Read the textbook Ch. 7 (pgs. 214-230). 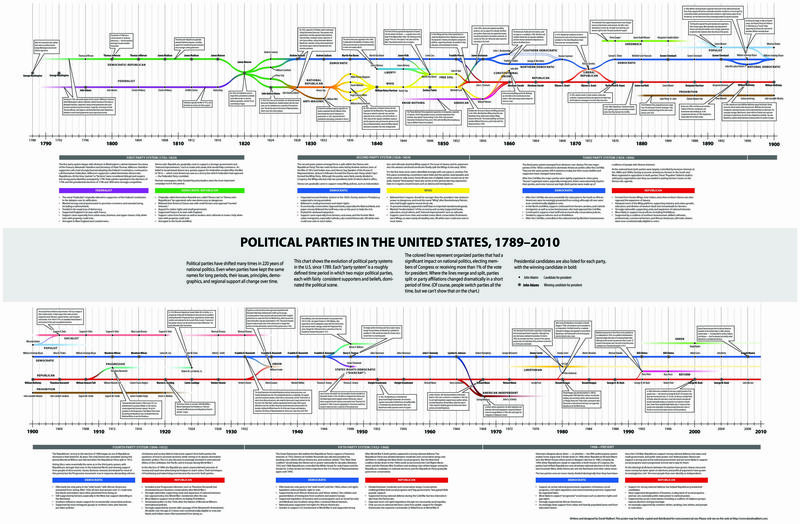 3) Then fill out the chart comparing Federalists to Dem-Republicans. paying close attention to the terms that show up on our Early Nation Class Notes timeline. ​ 1) Test Scores for 3A looked great. Test scores for 3 B were close. 2) With the end of the American Revolution, the 13 former colonies must form their new government. revolution have on who became each region’s politicians? f) What were the biggest weaknesses of America's 1st government (Articles of Confederation)? answer these questions! She is considered to be one of the experts on this time period. up to a 2% test bonus for one video, a 5% Bonus for 2 videos or up to 10% Bonus for all 3 video notes. This is optional but strongly advised. I think a lot of this guy, even if his hat isn't as cool as mine. 1) The test for the periods between the Late Colonial Period through the American Revolution arrives today. Due for Wednesday 9/27 Fireworks and the Birth of Baby USA!!! notebooks for the first notebook check today. There should not be blank spaces on these notes! 2) Watch this unusual college lecture on the American Revolution and answer these questions. 4) Continue working on the review questions due on Friday. Especially if you believe in foreshadowing. Due for Monday 9/25 - So you want to start a Revolution...? outline material. Highlight it, write notes on it. If you like it, consider using it for other chapters. 2) Watch this video on the American Revolution. Its exciting so you won't mind filling out a few questions. Plus it will make your brain grow wise. Like a fortune cookie. fondly of the days when you could "fake" your way through a test without really knowing the facts. colonies after the end of the 7 Years War in 1763? B) What arguments did the colonists use to object to the English Crown’s tax measures? C) What economic factors convinced colonists to disagree w/ their own British government? D) How did the Townshend Acts dramatically escalate tensions? E) What was so intolerable about the Coercive (Intolerable) Acts? F) What were British strengths and weaknesses at the outset of the war? G) What were the American strengths and weaknesses at the outset of the war? 3) We will use the following timeline for our class notes on the Road to the American Revolution. accurate and was the War's outcome? B) What were the conditions of the Treaty of Paris I (1763)? C) What after-effects from the war would haunt the British? The French? D) Why did Chief Pontiac revolt after the French and Indian War? What was the outcome of his "revolt"? 3) Watch the Crash Course video on the French and Indian War and answer these questions. an imaginary friend named Mr. Vitale. how I got ahold of this, ask him. the First Great Awakening as seen through the eyes of the greatest American thinker of the age. and Africa and where did they tend to settle? authority? Be specific about what authorities were being challenged by each! D) What groups of people were most likely to participate in the Great Awakening and why? characteristics of the original 13 (actually 12) colonies. True fact-Delaware wasn't really a colony. turn off the video early. next week so be prepared for a late start school day. welcome to retake the test next week either before or after school after making test corrections. ​ 2) Textbook readings formally begin with Chapter 2... pgs. 40-79. Answer the following Ch. 2 questions. ​ a) How did the North American colonies of the Spanish, Dutch, French and English differ? b) Why were death rates so high in early Jamestown (and other southern colonies)? e) What were the differences between the Northern English colonies and the Southern English colonies? f) What did John Winthrop mean when he called Massachusetts Bay a "City on a Hill"? h) What was the long term impacts of King Philip's (Metacom) War on New England? I) Why did Massachusetts expel Roger Williams and Anne Hutchinson? structure of a solid essay. ​ 4) Rho Kappa, the History Honor Society has a brief interest meeting afterschool on Tuesday at 4:25. Anyone can drop by for free pizza and a taste of what's to come this year. for the latest edition costing 18.95. If everyone has it, we can assign shorter readings from it. 1) Define early colonial terms on the study guide or PDF version - It will prepare you for the test today. 2) Start the DBQ worksheet. It will be due next class (9/7). minutes of incredibly useful info for the test. Watch it. You'll... appreciate it later. 3) Return a signed copy of your syllabus (with your parent's signature) and the student info form. and call it a day :).